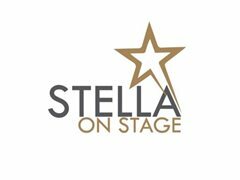 Stella On Stage are looking for strong Male Singers & Male Dancers with professional training to join their Summer 2019 in house cast. Performers must be versatile, with excellent technique and the ability to pick up choreography quickly and efficiently. We have 7 different themed shows with a vast variety of styles to create an amazing spectacle for the guests. 6 month contract based in a beautiful 5* Resort, Crete, Greece. Performing a variety different professional shows in a purpose built theatre. Working 6.5 days a week. Monthly Wage paid directly into Greek bank account. All Inclusive Food & Drink. Male lead singer professional trained needs to be versatile, confident with harmonies and a strong dance ability. We are looking for friendly, hard working individuals to join our fabulous cast! Professional Trained in Jazz, Ballet, Commercial, Pas De Deux, Contemporary and Tap. Singing, Tricks and Aerial are a bonus. Looking for friendly performers willing to work hard in rehearsals and have a fun summer doing what they love!